Unfortunately, it's also the browser that is least compliant with the Acid3 test... 20/100 when Webkit is scoring close to 90/100 and Opera is claiming 100/100. Obviously, some of that is MS's reluctance to implement ahead of the CSS3 standards, but a lot of it is not. Whether or not this is significant for rendering is debatable, but the bad PR is going to cost MS.
@Anon- Not a bad point. 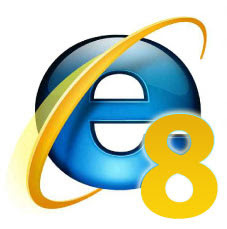 IE8 is definitely not looking good in ACID3, but I'm not sure that matters...yet. You've got to admit that it's a huge step forward to have all major browsers pass ACID2 (FF3, Safari, Opera, IE8). Hopefully we'll have ACID3 support for the next round!